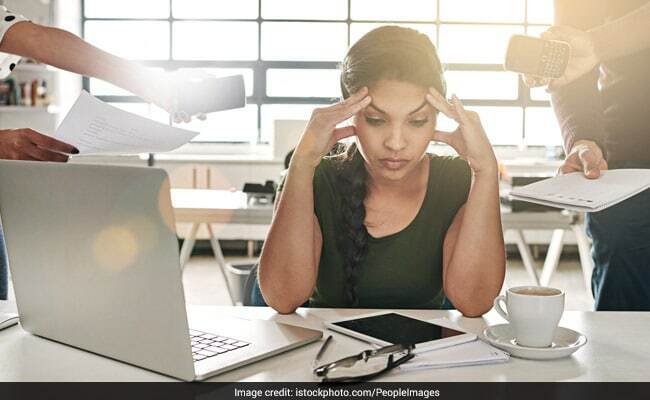 Increased stress at workplace may prove to be a cause of weight gain in women, revealed a new study. The findings, led by the University of Gothenburg in Sweden researchers, examined 3,872 women and men who were investigated on three occasions over a 20-year period with respect to such variables as body weight and demands and control at work. The participants were followed either from age 30 to 50 or from 40 to 60. The findings said that in over half of the women who had been subjected to high demands experienced major weight gain in the span of 20 years. This gain in weight was also about 20 percent higher than in women subject to low job demands. It must also be noted that women and men with a low degree of control in their work more frequently gained considerable weight (weight gain of 10 percent or more). The study was published in the journal International Archives of Occupational and Environmental Health. 1. Do not leave home empty stomach. No matter how pressed for time you are, make sure you grab a healthy and balanced breakfast that is enriched with protein and fibres. This would ensure you are full till lunch and do not snack on anything unhealthy you chance upon on the way. 2. Keep unhealthy snacks out of your range. Packet of chips and aerated drinks area a big no-no; make sure they are nowhere in your line of sight. 3. You can keep some healthy and nutty trail-mix on your office-desk. A pack of ragi chips is also a good choice for those untimely cravings. 4. Keep sipping into water. Sometimes your body confuses thirst signals with hunger signals and you think you are hungry when you are actually thirsty. If the plain taste of water bores you, you can also add some slimming herbs like zeera or ajwain to it. 5. Take breaks. Climb stairs. Do not sit at one place for too long. If your office does not have a gym or space for recreational activities, take a walk around the office compound. Following these tips may ensure healthy a sustainable weight loss. Have any more tips to share? Do write to us in the comments section.